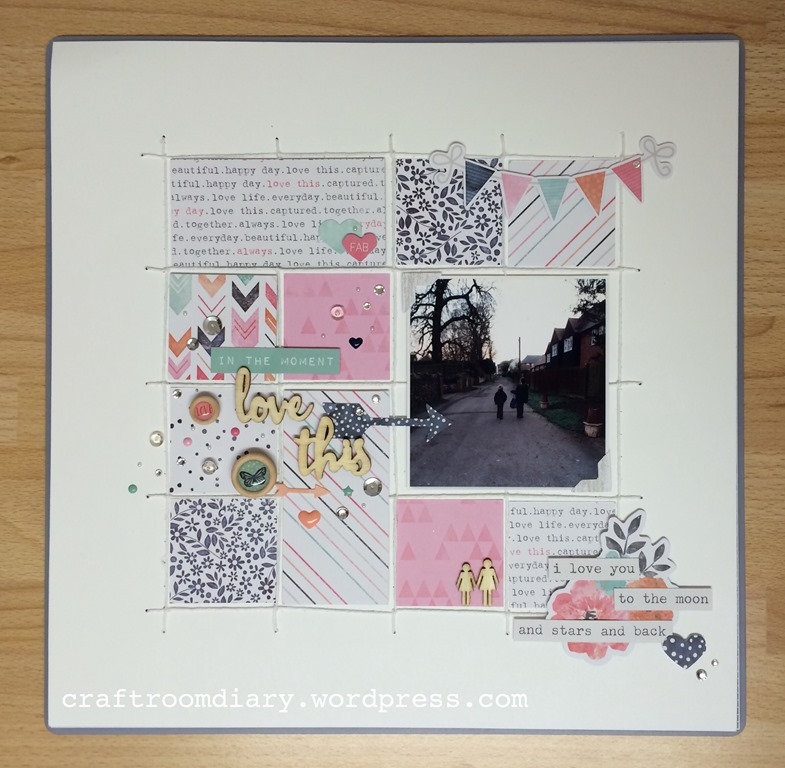 This layout was made using my Like Forever Kit from March, this kit focused on supplies from an Australian company called Coco Daisy – lovely papers and embellishments. This layout was inspired by a sketch from a challenge from the LFE subscriber facebook group. All i added to the kit from my stash was the white base and twine, the wooden stick girls and a few sequins and gems.